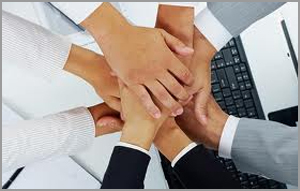 Our diversity is highlighted skilled work force consist of more than 20 employees. We take a great pride in contributing to the communities where we live and work. We are proud of our history and energized by our future. We also care deeply about the environment and are proud of the many ways in which our employees work to safeguard it. We believe that our positive atmosphere within the company makes us creative and enable innovation. We will continue to interact with our customers and end users to understand what they encounter in our working fields. This will help us to better develop solution that fit our customer’s needs and allow us to maintain our positions as leaders in performance. As we offer a very good quality and a promising after sales service, our equipment have taken an excellent reputation in the Egyptian Market. You can find here under some of our main customers that have faith in our goods and services.